The thrill of watching your baby reach milestones is one of the most enjoyable parts of parenthood. Too often parents worry if doesn’t hit each milestone by the exact timetable in the latest parenting magazine. If other babies seem to be rolling or crawling before yours, don’t panic. There is a wide range of normal in terms of milestones. First smile (5-8 weeks) No subject is more open to debate than this milestone. Some people swear that babies don’t develop a social smile until eight weeks old. Others swear it can happen closer to five weeks. We’ll just stay away from that debate and say that at some point, your baby will give you a wide, toothless grin. Make eye contact and smile at your baby, soon she will be smiling back. Rolling (3-5 months) There is a very wide range of normal for rolling over. In general, babies who enjoy tummy time tend to roll over at a younger age than babies who hate being placed on their tummies. It’s usually easier for baby to roll from tummy to back, so most roll this way first. Babies that don’t enjoy tummy time may roll from back to tummy first. This generally takes longer, since moving this way requires more coordination and strength. Sitting: (5-8 months) As your baby gains control of her body and develops strength in her arms, she will be able to sit for short periods. She gradually learns to balance and is able to sit unassisted. In the beginning, put her on a mat or soft surface and stay near to catch her when she falls. Before you know it, she will move from sitting to her tummy. Pulling up and Cruising: (8-11 months) Once the baby has been crawling for some time, she will start trying to pull up to a standing position. This is a gradual process for most babies. As the baby gains strength in her arms and legs, she will be able to stand easily. She will gain confidence and begin bending to pick things up and cruising around the furniture. Walking: (9-18 months) For some reason, parents feel a lot of pressure for this milestone. Most expect the baby to walk by his birthday. Keep in mind that this date is not etched in stone and many babies blow out their first candle without this skill. Your baby will begin taking a few wobbly steps and may continue to crawl. Gradually, she crawls less until she is walking all the time. Don’t read this guide and follow it like the gospel. Guidelines are only guidelines. 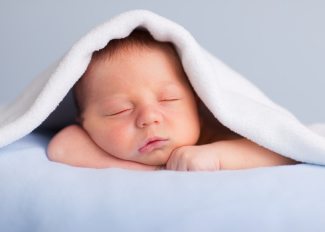 Your baby’s development can be influenced by several factors. Babies that enjoy sitting with mommy and being held may crawl a bit later. 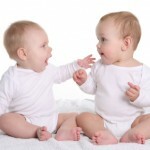 The same baby may develop language or small motor skills sooner. Babies often work on one area of development at a time. 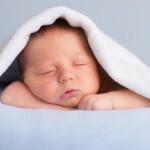 The baby’s temperament will also influence when he hits his milestones. An active baby may crawl a month or two sooner than a very calm, relaxed baby. Other factors such as having siblings or preterm birth can influence when baby reaches certain milestones. Resist the urge to compare the baby to your niece, older child or the other babies in your play group. Each baby will develop at his own pace. Talk to your doctor if the baby misses two or more milestones. You should also call if the baby is several months behind the normal range in more than one area.